Last week my copy of "GORECHOSEN" arrived. 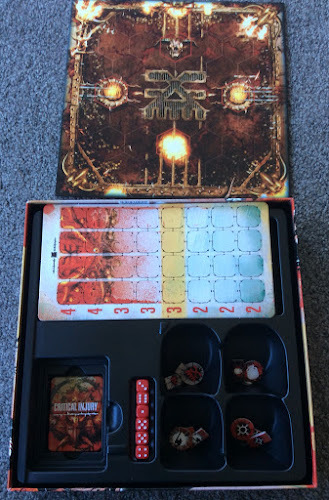 This is GW's latest boxed game and represent "brutal arena combat" i.e. Pitfighting. 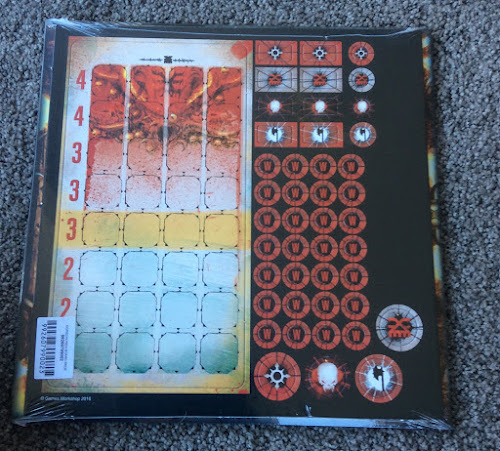 I picked up a copy as I thought it might be a nice quick game to play in an evening or at a tournament between rounds. The re-launched White Dwarf had a character for the game on its front cover. Opening up the box you are greeted by a plethora of components - cards, counters, markers, booklets and a playing board. As well as that there is a plastic box insert to keep things tidy and four mini sprues of models (plus round bases). A lot has been made on the net as to what great value this set is. Certainly the components look sturdy, well made and attractive. But the thing most people point to is the inclusion of four sprues if various Khorne characters. The common refrain is that buying these separately would cost 2x the game price and therefore the game is great value. I can't help thinking that there is a certain amount of "Battered Wife Syndrome" at work there, in respect to GW pricing. Still it is a very nice looking game and by all accounts fun to play. 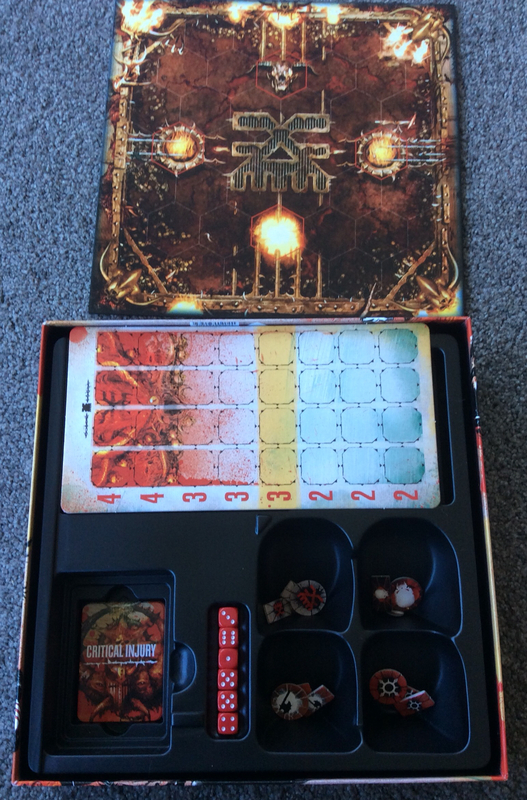 Here you can see the individual player cards plus the rule book. There is a separate pamphlet included on how to construct the models and paint them..
All the components fit into the box insert and there is space to put your painted models. Glancing through the rules I see that there are rules for the inclusion of other Khorne characters into the game. 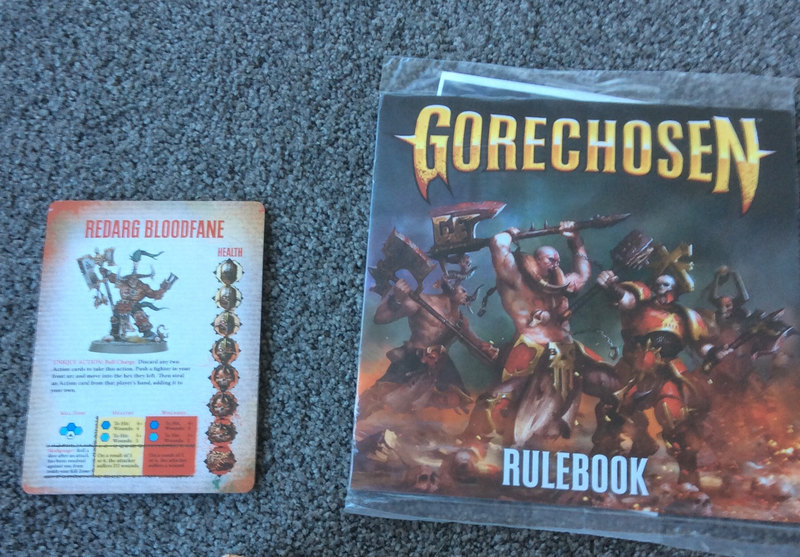 The WD also included extra rules and cards for various AOS Khorne models. Luckily my good friend Higgins has multiple AoS box sets and is going to throw me the requisite character models. Overall I'm happy with the purchase and will be assembling and painting the combatants over the next few weeks with a few to giving it a run. 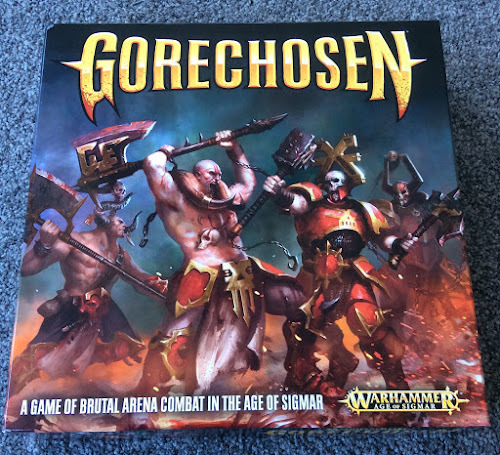 I like this move of GW to release these type of games as they can fill a niche in providing a fun timefiller. 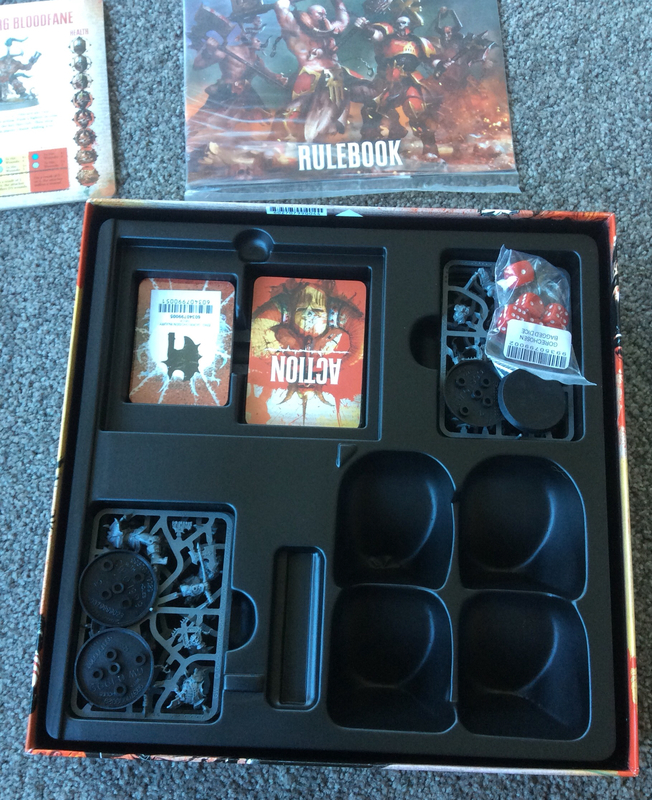 You can pick the game up from GW for $105 NZD or from a UK seller for around $50 NZD. Give there was no urgency for me I used the later route.